Cars Wanted is here to help make selling your car as fast and simple as possible. 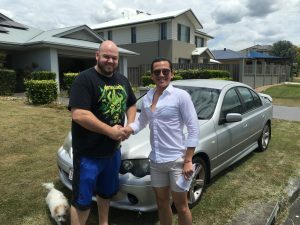 With over 30 years’ experience, carswanted.com.au is Australia’s original cash for cars website. I want to sell my car fast and I want to sell it today. We hear you saying "I want to sell my car fast". We’ll buy your car today or whenever is convenient for you. Simply fill in the web-form above and our team will forward a cash offer via SMS and email. All offers are subject to a test drive and inspection. Where’s the best place and time to sell my car? The team will come straight to your home or office door at a time that suits you. This means you won't need to worry about transportation back when you sell your car to us. Our free valuation system provides indicative trade valuations for most cars, vans and SUV's between 2007 and 2019. Please call us to discuss selling an older car that is considered a classic or unique vehicle. Valuations are subject to kilometres traveled, general condition and model popularity. Do you buy financed vehicles? Absolutely. We buy vehicles that have finance owing. Simply contact your financier and request a payout letter. Most companies will send to you via email within 24 hours. If you owe less than our offer, we will pay out your finance and give you the balance in cash. When you owe more than our offer, you will need to pay the difference to your financier. Our friendly team is here to help guide you through the process.